Amnesty International is urging that abuses endured by scores of Yemenis detained by an American ally over the past two years be investigated as war crimes. [post_ads]The abuses, carried out in secret detention facilities, are being perpetrated by the United Arab Emirates and Yemeni militias aligned with it, according to a newly released report from Amnesty, reinforcing the findings of other human rights groups. The UAE leads a regional coalition along with Saudi Arabia that is seeking to restore Yemen’s internationally recognized government and end a three-year-old civil war against northern rebels known as Houthis. The United States is aiding the coalition with weapons, refueling, intelligence and other assistance. The UAE is also a key American partner in a separate fight against al-Qaeda’s Yemen affiliate and a nascent Islamic State group. The UAE has publicly denied allegations that it abuses detainees, including torturing them. Many of the Yemenis taken into custody have been picked up on terrorism-related charges that are largely trumped up, activists say. Some Yemenis are feared to have died in custody, Amnesty said in a statement. Amnesty said it probed the cases of 51 men detained between March 2016 and May 2018 in five provinces in southern Yemen. Of them, 19 are still missing, the group said. Many of the detainees were tortured in both Yemeni and Emirati facilities, the report found. This included beatings, electric shocks and sexual violence. Amnesty added that many of the arrests are based on “unfounded suspicions” of being members of al-Qaeda or the Islamic State. 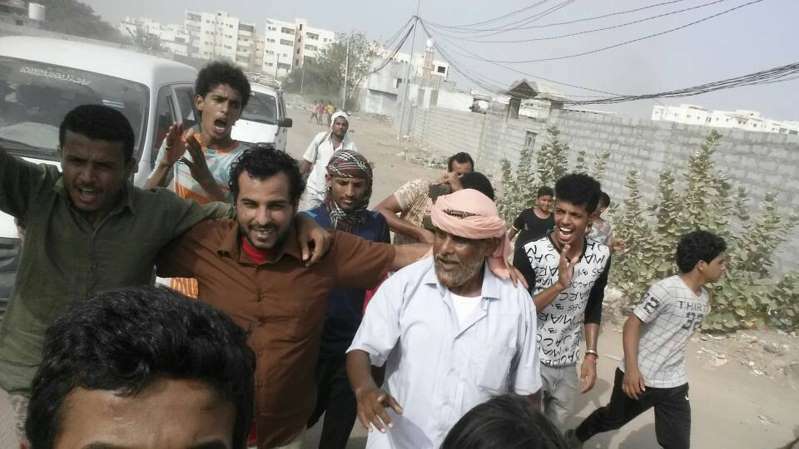 Rather, those detained include critics of the coalition and its allies, including activists and journalists and members of al-Islah, a political party that is Yemen’s branch of the Muslim Brotherhood, which the UAE and its local Yemeni allies despise. “Ultimately these violations, which are taking place in the context of Yemen’s armed conflict, should be investigated as war crimes,” Hassan said.